Just make sure you stay the course. Ever wanted to cook alongside the world's realest chef, Gordon Ramsay? I personally have, and had I been able to I could have meet the man himself at a release event not long ago, though alas Modojo isn't important enough, as deemed by PR. However, I am allowed to share the fact that Gordon Ramsay DASH has released, and you can pick it up to cook with Gordon himself now! 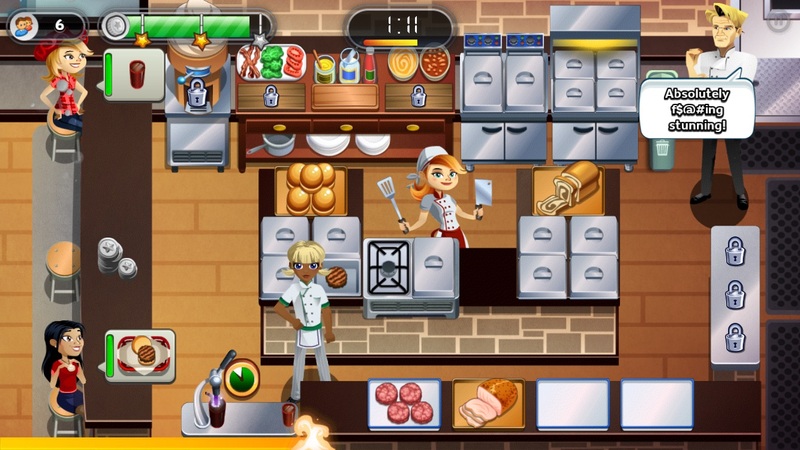 With Gordon Ramsay DASH, you can create delicious dishes, go head-to-head with other famous culinary giants, earn "Wichelin" stars to build up your own food-based empire and rise under Gordon himself as he goads you into perfection, one insult after another. He's really sweet, though I bet, underneath all of that bluster. Just don't serve him raw food or meals you had sitting under a heat lamp for the longest time. That's the fast track to making him angry, and you wouldn't like him when he's angry. So don't make Gordon angry and check out his new game, or you just might give him a reason to be mad at you. I don't have to tell you why that's a bad idea.